The Maryland couple, whose "DaddyOFive" YouTube videos featured them pranking their children are expected to plead guilty to child neglect charges. FREDERICK, Md. 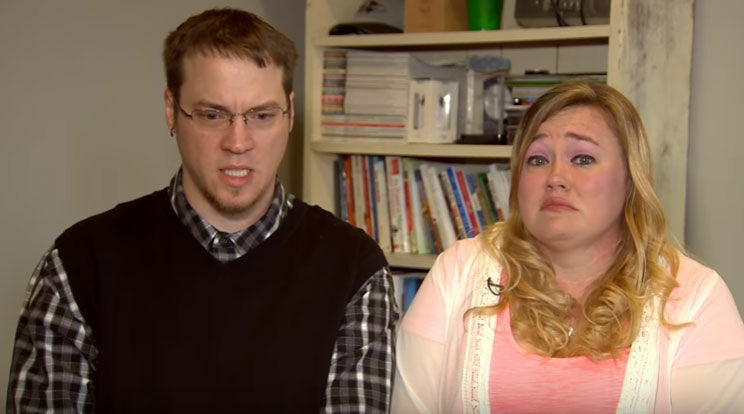 — The Maryland couple, whose “DaddyOFive” YouTube videos featured them pranking their children, were found guilty of child neglect on Monday and sentenced to five years supervised probation. Mike and Heather Martin, of Ijamsville, each entered Alford pleas to misdemeanor counts of neglect of a minor. In an Alford plea, the defendant doesn’t admit guilt, but acknowledges prosecutors had enough evidence to convict them. Frederick County Circuit Court Judge Teresa Adams found the couple guilty. Heather Martin, the stepmother of an 11-year-old daughter and 9-year-old son, cried silently as the judge sentenced her to the maximum, five years in prison for each conviction, consecutively, but then suspended the sentence. Mike Martin, the biological father of the children, declined to comment and received the same sentence. Prosecutor Lindy Angel told the judge a psychologist determined both children suffered emotional trauma by the tormenting videos. “I don’t think we would have been able to prosecute this case without that child evaluation,” said Frederick County State’s Attorney Charlie Smith, outside the courthouse. Defense attorney Stephen Tully, who represented both parents, said his clients were relieved. As part of the plea agreement, the parents agreed to have no contact with the two children, who are currently in foster care, unless approved by a court. In addition, during court-approved visits, the couple are ordered to not post any videos or photos of the children on social media, except for family use. Almost all of the videos from the couple’s YouTube channel have been removed, after accusations the pranks were abusive. The couple orchestrated pranks that often left their children crying, and visibly upset. Initially, Heather Martin blamed critics for inflicting negative attention on her children. The parents said they perpetuated the video channel because the children enjoyed the excitement of being internet sensations. One of the few videos left on the family’s channel is a public apology that was issued in April.